Thug life is a term used by gangsters to glorify their law breaking,heady crime sprees. Nothing describes the misrule of two successive, so called democratically elected governments in the unstable, underdeveloped 200 million strong south Asian state of Pakistan. How thieves, plunderers and freebooters came to rule this nuclear armed state is a sad tale in itself. Ruled by military General Pervez Musharraf who took over in a military coup in 1999, the country became a close US ally after 9/11 and witnessed an era of growth and stability under military rule. However when Musharaf reached his limits of flexibility, it was decided by the US and British to force him bring back the two tainted, condemned political leaders in exile and to wash away all their sins under a dubious order in the name of national reconciliation. As in the Bond movie, Quantum of Solace, there was also a hungry, eager, more flexible General waiting in the Wings to replace him, and Deputy Chief Kayani used Military intelligence and a judges restoration movement to cripple the erstwhile strongman, now out of favor with the US. A final thumbs down from the US Ambassador compelled Musharraf to resign and after the mysterious, unsolved murder of Benazir Bhutto, her thuggish husband, the upstart, criminal uneducated, corrupt and much reviled Asif Zardari came to power. The deal with the West was that we bring you back, wash away your past sins and you squeeze the Army. The game began and new Chief Kayani turned a blind eye, as he had brought the devil to sup at the table and was also busy improving his impoverished families financial condition. So well did this team work that General Kayani got an unprecedented 3 year second term, Zardari became a billionaire, Kayani from rags to millionaire and the country went to the dogs. The US with its two boys in place, in charge of the Presidency and military, violated Pakistani sovereignty and physical boundaries at will, using drones, choppers, covert assassin’s and whatever they chose. Simple math, over invoice $ 50 billion of Chinese funded projects-whether needed or not- by ten percent, sign sovereign guarantees, leave future generations to pay off horrifying debts and pocket 5% off the top! Walk away with a cool $ 2.5 billion dollars.Astonishingly simple as it is audacious. Where Zardari was a street thug, looting millions, for ing neighbors to sell their properties on the cheap, the plunderers from Punjab, whose father made pots and cooking utensils with his bare hands are now certified dollar billionaires thanks to massive bank defaults,and international cuts commissions and kickbacks. Wow! 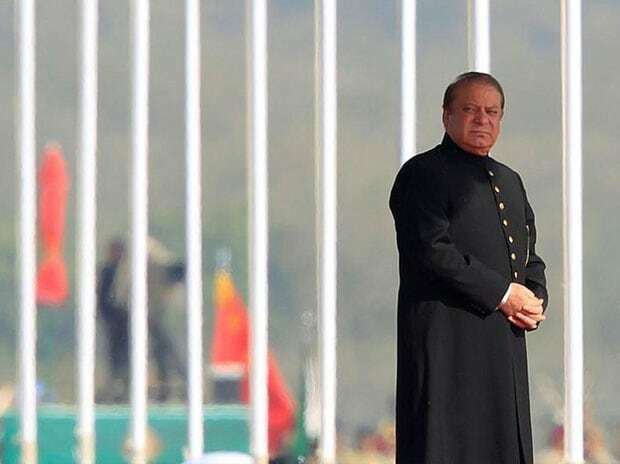 Wonderful, just one mistake…Sharif, egged on by vicious anti military Advisers like Junior Minister for Foreign Affairs Syed Tariq Fatimi, kept on targeting the by now restive and powerful Pakistan military. The leakage of information pertaining to thousands of offshore companies incorporated in Panama signalled the end for the strangely absent Sharif regime. Perhaps the most corrupt and worse administered government in the history of Pakistan..certainly the most hypocritical. Destroying the civil service structure, promoting nepotism, turning state servants especially in the Punjab into glorified pimps and facilitators. One poor martied lady was famously peddled by her husband out to Sharif, then his younger brother and in turn was rewarded with top administrative positions for his immoral shamelessness. Functioning without statutory, mandated positions such as State Ombudsman, National Tax Collector, Head of the Audit Service and even without the Governor of the State Bank. Burgeoning debt,increasingly hostile borders, declining exports, a dysfunctional government, falling stock market and collapsing currency could not shake Sharif out of his stupor. On the ropes, with his family corruption the main story in every paper, every channel and on social media, he chose to plod on shamelessly, trying one corrupt lawyer after another in a futile attempt to cover his tracks. Described as a sicilian mafiosi by the worthy judges of the top constitutional court, Sharif scraped the bottom of the barrel, hiring the immoral Raja Salman Akram, known to have defended Zardaris drug dealing Prime Minister, all to no avail. Functioning without a Foreign minister for four years, and appointing idiots as top envoys, the joke is on Sharif as he is now left with no friends to bail him out as before. His Saudi patrons distanced themselves from their pet poodle after Sharif was unable to prevail upon his military who very sensibly refused to go and fight alongside Saudi troops in Yemen. Indians and Americans have realised he cannot dominate his military and the Turks and Chinese know him and his tribe as crooked, slimy money grabbers. Despite holding office for years, Sharif has paid no attention to healthcare, education, rule of law or job creation, focusing purely on shady, unnecessary projects providing easy kickbacks. Now decades of money laundering, defaulted bank loans and millions in off shore accounts and overseas properties stand to be exposed for what they are, the loot and plunder from 190 million poor uneducated helpless souls who are forced to sell or kill their children due to lack of justice, poverty and a gloomy future. The question is how will things unfold? Will the shameless, immoral, hypocritical kleptocrats escape yet again to lick their wounds and enjoy their boots abroad or shall they deservedly meet the fate of another erstwhile billionaire, the late unlamented Colonel Qaddafi who died bloodied and screaming in the street as his engeful subjects beat him to death? The author is a geostrategist based in Brussels. Islamabad, Jan 28 (Pak Destiny) The Nawaz Sharif government has rewarded Syed Ahmad Iqbal Ashraf by appointing him president of National Bank of Pakistan (NBP) for his services – sanctioning Rs500 million loan to the Ramzan Sugar Mill of the Sharifs in 1990s. “Ahsraf has also been given a task to settle down Rs3billion loan of Itifaq Foundry which it had taken from the NBP in the 1990s,” the sources said. The sources said Ashraf was the regional director of NBP when he had sanctioned Rs500 million to the Sharif’s Ramzan Sugar Mill when they needed money. Salman Shahbaz had asked his uncle to appoint Ashraf. A chartered accountant by profession, Ahmad Iqbal is a brother of Dr Nasim Ashraf, the former minister for National Commission for Human Development (NCHD) and president of Pakistan Cricket Board in General Musharraf’s government. Nasim Ashraf brought in Musadak Malik, a big time crook, whose connections with a super power are highly suspicious. 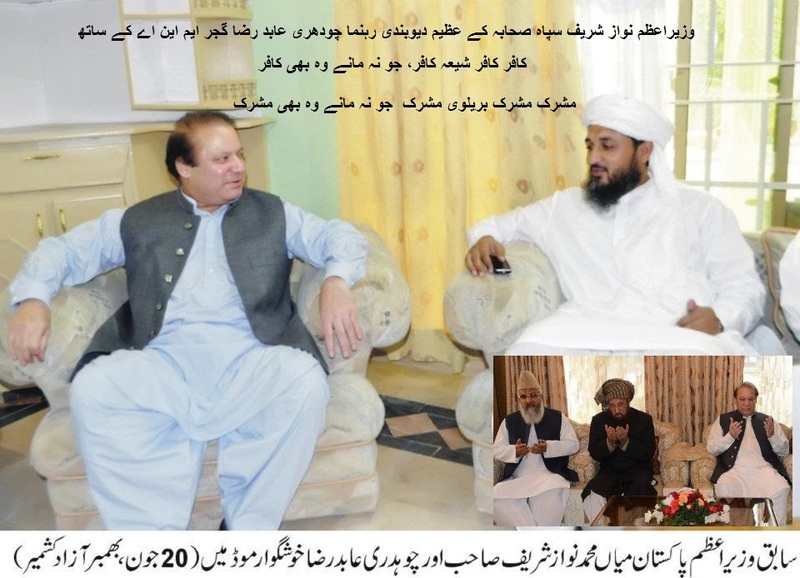 After Nasim Ashraf and Iqbal Ashraf absconded from Pakistan, they left their master-mind Musadak Malik to be an Advisor to Nawaz Sharif. This unemployed US Pharmacist, still a US Citizen has a gift of gab and can through use of this gift he wiggled his way into Nawaz Sharif’s Cabinet as an his Advisor. He replaced Dr Asif Brohi who had three years to reach the retirement age. Nawaz Sharif-The Godfather of Sharif Family Empire of Murderers, Money Launderers, Extortionists, Leeches of Corruption as described by Pakistan Supreme Court Judges. The Judgement: a layman’s take. After reading the subject judgement, I felt that indeed it was a judgement that may be remembered for a long time to come. But it will be so remembered in parts but for very different reasons. The judgements of two judges will perhaps be remembered for stripping the PM and his family naked by tearing off the cloaks of falsehood behind which they had constructed their defense. The judgements of two other judges will be remembered for being apologists for the Sharif family. And the judgement of the fifth judge will be remembered for excoriating the stance of the PM and his family in his findings, but then giving a judgement at complete variance from these findings i.e for having seen a spade but then refusing to call it thus. On the face of it, it seems that it is this fifth judge who made a shift. On two issues all five judges seem mostly to be of one mind i.e that the explanations proffered by the Sharif family for various acts of commission or omission were woefully frail and not credit worthy; and that the court was not competent to pass any judgement on issues of criminality of the respondents, but was competent to do so on issues of morality i.e the civil aspects of the case/ pleas agitated against this family. A few paras from the judgement of Mr Justice Ejaz Afzal Khan will suffice to elucidate the position of the majority opinion in this case. The important portions of the same will be in inverted commas, where I have quoted from his judgement. The reader must know that in what follows, wherever “respondent No.1” is mentioned, the reference is to Nawaz Sharif. My observation on the above: so far so good. Now let’s see what follows. The judge then goes on to say that this further investigation would best be done by NAB, but because Chairman NAB is either indifferent or unwilling to do this, a JIT should be formed. a. It stands to reason that where his children’s statements differ from those of Nawaz Sharif, the latter cant be accused of falsity. But the judge has completely ignored the prayer of the petitioners that his own address to the Parliament, his address to the nation, and his concise statement to the Supreme Court itself differ from each other, and has made only an oblique ruling on this. Now this can easily be pointed out by any layman, but how come a Judge has not been able to see this. To me this appears to be an omission brought on by deliberate haze/amnesia. And what do you think brought this about? I think I have a pretty good idea about this, but would like to keep my own counsel on this. b.When Nawaz Sharif was making his statements to the Parliament, to the people of Pakistan, and to the court, these were no ordinary or casual statements. He was attempting to remove a taint from his name which formally got attached to him in wake of the Panama papers being exposed worldwide. In short his were statements which were given after great deliberation, and they were shown to be lies e.g that he had all the records to prove that all transactions which led to the purchase of the flats in London were bona fide and above board, but when the time came to submit these records to the court, despite the exhortations of the court,he could not submit even a shred of such evidence. Now where is the need in this case to “confront” Nawaz Sharif and “cross examine” him as argued by the judge? But this point has been pretty well put to rest in the judgement of Mr Justice Khosa, which I will quote presently. Observation: Now this one is a real stretch. For one thing, the term “objective concept” is a contradiction in terms. When one talks of a “concept”, how does one bracket it with objectivity or subjectivity? If it is a concept, to my way of thinking, it essentially will be subjective. And pray what is “legal honesty” when detached from its moral and ethical moorings? It is so patently obvious that the judge here is trying to prepare grounds to categorize the telling of lies as something “subjective” i.e to let Nawaz Sharif off the hook. A lie is not something concrete which one can see or touch or examine under a microscope i.e it is not “objective”. And indeed Nawaz Sharif would have been off the hook but for the fact that he volunteered information in order to clear his name three times, and each time, his explanation was different, which means that at least two of his explanations, if not flat out lies, were at least not the whole truth. If the reader was to read the judgement of Mr Justice Ijaz ul Ahsan, from para 39, right down to the end, one would find there a most damning indictment of the Sharif family, NAB, FIA, and FBR etc. But his final judgement is at complete variance with his observations. Had he stood with Justices Khosa and Gulzar, Pakistan would today have been rid of the cancer eating into its vitals for so many years. It is obvious that spiritually he was on one side, but perhaps, materially he was on the other –the side which, despite all the evidence to the contrary, did not have it in themselves to see the patent and very virulent dishonesty of Nawaz Sharif, and have thus sown the seeds of further turmoil and uncertainty in life of a thoroughly plundered and most unfortunate country. And now a few words on whether Mr Justice Khosa was justified by implying that Nawaz Sharif was the Godfather. To determine this one needs to be clear about who is a Godfather, and what he does. 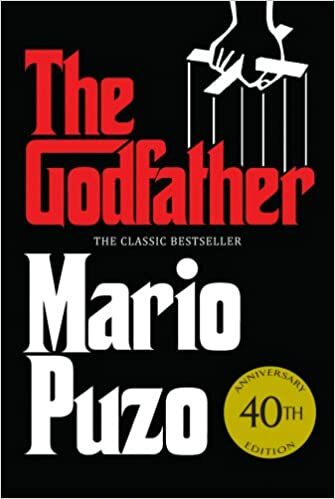 A Godfather is the head of a criminal enterprise, who lives above the law, and has assets which are massive and which cannot be accounted for. He subverts the police, buys the politicians, and corrupts the judiciary, and uses government servants in the furtherance of his criminal enterprise, all the while making certain that one of his children will one day inherit the same i.e in short, he has in his pocket all such individuals or institutions which can hold him to account, and strives to find immortality through his progeny who are first trained, and then placed to take his criminality forward. He does all this by maintaining a large gang of lackeys and hoodlums. Now examine Nawaz Sharif against this list and tick mark all the boxes and you will know, if you still have any doubts about, whether or not Mr Justice Khosa’s oblique reference was correct in every detail. The only thing most of us did not really know was the extent to which this man had subverted the judiciary very early on. Mr Justice Khosa has done a signal service to the nation by putting much of this material together in his judgement. Interested readers are invited to read paragraphs 100,101,128,129, and 130 of his judgement. These paragraphs detail, not the entire gamut of his multifarious criminalities, for that will be impossible to do, but concentrate on the few times when the law finally managed to catch up with him, but using Prime Ministerial powers, how he repeatedly got out of the clutches of the law. P.S For me the miracle of the Supreme Court Judgement in the Panama Case remains the wonder that people like Mr Justice Khosa and Mr Justice Gulzar, survived the imperfections of a very corrupt system to reach the very top of their profession. Without Panama we would never have known this, and they would probably have walked into the sunset unsung and unheralded. ISLAMABAD: Chairman Pakistan Tehreek-e-Insaf (PTI) Imran Khan on Thursday has said that Prime Minister Nawaz Sharif should step down until the JIT completes its investigation. Speaking to reporters following the Supreme Court verdict in the Panama Leaks case, Khan said Sharif no longer had any moral authority to continue as prime minister of the country. “What respect will he have when a government officer calls the prime minister for a criminal inquiry,” he said. Terming the verdict “a historic judgment in Pakistan’s history”, he said that all five members of the bench have rejected PM Sharif’s explanation of the money trail that led to his children’s offshore holdings. “I demand Nawaz Sharif to resign today. 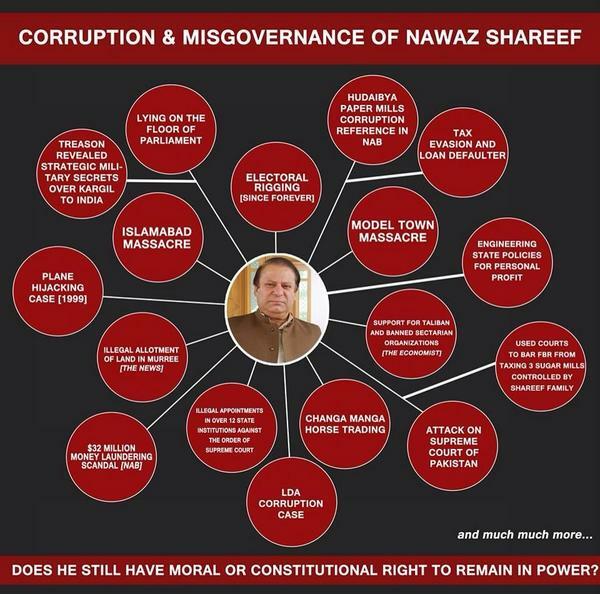 Sharif should resign because he will not allow an impartial investigation,” he said. “If Sharif is cleared in 60 days after the joint investigation team’s report, he can continue to serve as the prime minister, but at the moment he has no ethical right to serve on this position,” said the chairman of the PTI. Imran said that only two of the institutions whose members will be part of the JIT fall under the Chief of Army Staff, while the rest come under the prime minister. “Hence, he must resign immediately in order for an impartial investigation to be conducted,” said the PTI chairman.